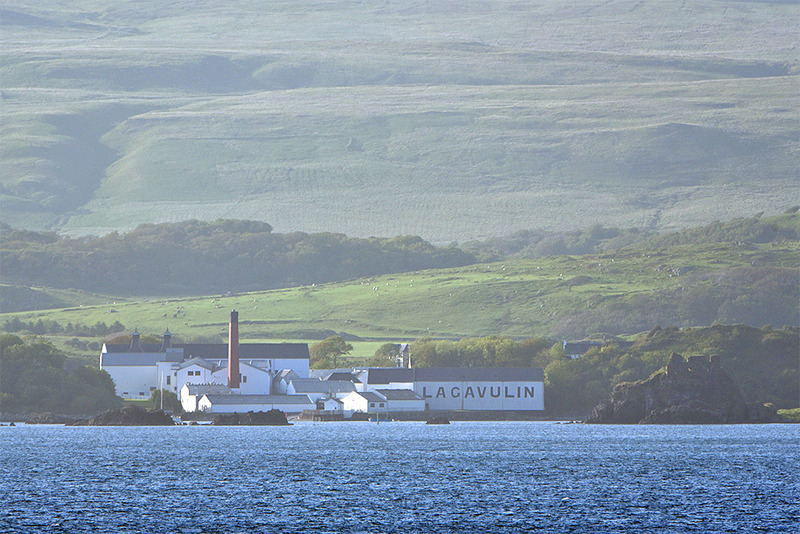 A slightly hazy view of Lagavulin distillery on the south coast of Islay, seen from the ferry to Islay. The ruins of Dunyvaig Castle on the right. This entry was posted in Distilleries, Landscape, New Post, Sunny Weather and tagged Dunyvaig Castle, ferry, Islay, Lagavulin, Lagavulin Bay by Armin Grewe. Bookmark the permalink.